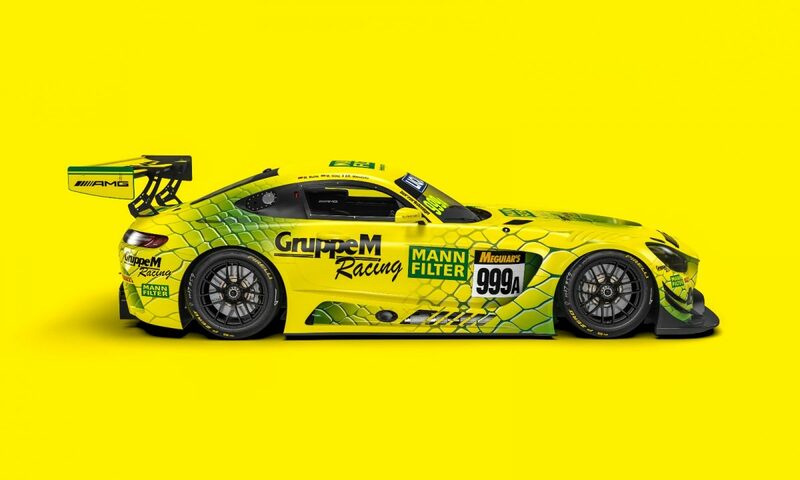 The GruppeM Racing squad has confirmed the driver line-up for its Mercedes-AMG GT3 ahead of the Liqui-Moly Bathurst 12 Hour. Based out of Hong Kong, the team will sport Maximilian Buhk, Raffaele Marciello, and Maximilian Gotz with an outright effort on this year’s event. All three drivers possess Mercedes-AMG pedigree and have all made previous appearances at Bathurst, Buhk and Gotz having driven with Strakka Racing 12 months ago. Marciello co-drove with Jamie Whincup and Kenny Habul, scoring a podium as they finished second outright and won the Pro-Am class. “The Bathurst 12 Hour is a very important GT3 race and also part of the Intercontinental GT Challenge, which we will participate in for 2019,” explained team owner, Kenny Chen. “It will be a tough challenge, for sure. We see some very strong competitors. “Historically it has been tough for the Mercedes-AMG GT3 car due to the lack of straight-line speed but with our experienced driver line-up we will fight hard. “All of those drivers have past history with GruppeM Racing and have all been race winners in a GruppeM Mercedes-AMG GT3 car before. The GruppeM Racing announcement leaves just three Class A teams to confirm their full driver line-ups. Spirit of Race/AF Corse has thus far only announced Paul Dalla Lana in the Ferrari 488 GT3, while Todd Hazelwood is the sole driver listed in the Matt Stone Racing/Aussie Driver Search Audi R8 LMS GT3. Finally, Trofeo Motorsport has not confirmed who will join Dean Canto at the wheel of the squad’s Lamborghini Huracan GT3. Elsewhere a number of other teams are still to announce their driving roster, specifically the three Ginetta G55 GT4 entries, a trio of entries from MARC in the Invitational Class and the bulk of the Class B field.